Many people surround themselves with daily commitments, an abundance of possessions in the house they cannot afford, and both healthy and unhealthy relationships. They walk around fatigued, stressed to the max, and unable to come up for air. They recognize their lives are spinning out of control and too consumed by a commitment of deadlines and debt, but they are unable to escape the chaos. However, these same people are beginning to recognize the value of seeking a minimalist lifestyle not only for their pocketbooks, but also for their sense of wellbeing. The desire of minimalist living is clear, but the process of integrating themselves into a minimalist way of living often is fuzzy and overwhelming. 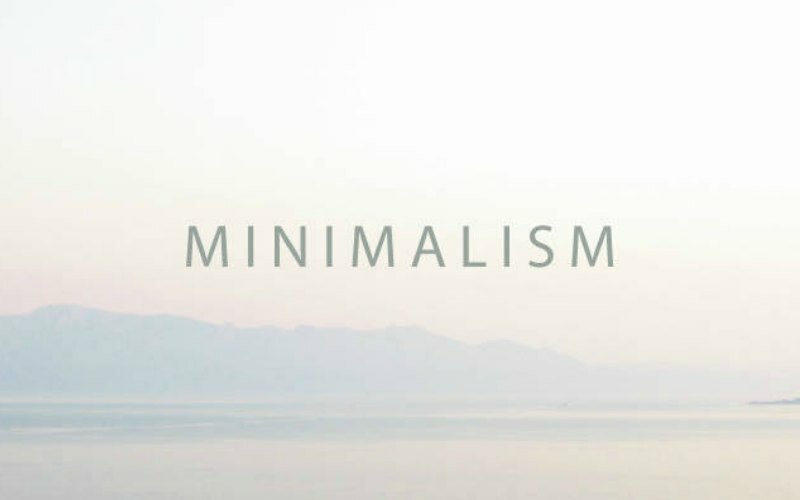 How does one get started as a minimalist and embrace this new way of living? When properly guided, the process is as simple as decluttering, restructuring, and embracing the simplified minimalist lifestyle. The first step in getting started as a minimalist is to declutter your life of all the chaos, extra commitments, and relationships that do not match up to the lifestyle you want to live. How do you know what needs to be removed? Take some time to consider what you want your life to look like. What are your priorities? What is important to you and what is your purpose? How do you hope to grow in the year to come? Answer these questions and physically write them out with pen and paper. Once you have taken the time to reflect on your responses, begin to look at every aspect of your life and compare them to your answers. 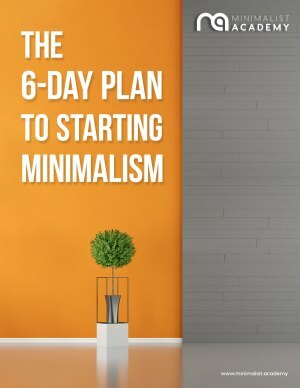 The items, the commitments, and the relationships that compliment your goals, your purpose, and your simplified way of living can remain in your life, however, everything else must be removed in order for you to fully embrace a minimalist lifestyle. Do not think of the decluttering process as an intimidating task, but rather one filled with encouragement and a sense of lightness. Do not be afraid of telling those around you the transition you are taking in incorporating a minimalist approach to your life, or that changes will be taking place in order for you to reach a more simplified lifestyle. Those who want to encourage this shift will support you. Also, do not be too heady when it comes to the process of removing the physical clutter from your home, office, or any other space. It is important to remove the “stuff” in order for you to feel lighter, to appreciate the items you do have because they possess greater meaning to you, and to create less time spent on budgeting, cleaning, and maintaining the possessions that were initially in the space. Once you have sorted through all the various components of your life, the next step is to restructure everything that is left. This is a very important step and one that deserves some thought. Take, for example, your schedule. Hopefully, during the decluttering step, you removed events and obligations that were not necessary and did not make you feel your best. If you did this, then what is left are tasks that provide value to your life. If you try to create a flexible schedule with no time constraints, you are likely to find some of your important tasks are not completed, deadlines are overlooked, and significant people are not seen as regularly as you would like. This is why it is necessary to establish a schedule with some semblance of a routine. This ensures a couple of things. First, you do, in fact, have time for all of the activities you wish to complete. Second, you can manage them all in a stress-free and logical way. As a bonus, you may find you have more meaningful time to unwind, plan a spontaneous event, or simply embrace the moment more frequently without rushing off to the next agenda on your list. This same process can be used for your items as well. Every item in your space should make you feel good, have a function or purpose, and the room as a whole should have a flow about it that allows you to move freely and efficiently. The final aspect of getting started as a minimalist is the most exciting one. You get to enjoy the lifestyle you have created through hard work and intentional reflection. If you have gone through the steps properly and taken time for reflection in each, you are left with an organized and purposeful life. It should be easy for you to embrace all the little nuances of what makes your minimalist lifestyle so unique and meaningful. You will also feel less compelled to buy unnecessary items, spend your time with people who impact your life negatively, and pack your schedule with obligations that do not bring joy to your life. You will embrace the simplified, clutter-free living that is created as a result of living as a minimalist. It is so easy to get wrapped up in the chaos and commotion of society. It is equally as easy to feel overwhelmed, overburdened, and anxiety-stricken as a result. However, embracing a minimalist lifestyle removes many of these feelings, the amount of “stuff” that controls you and your life, and allows you to live a life that is purposeful and meaningful to you. With the proper process and a little patience, you will be well on your way to creating your very own minimalist approach to life.